Hey Guys, Hope you all are doing well and enjoying the winters. We are in the last month of 2018 and I only have immense gratitude for all that has happened. Life Lessons – harsh and awesome, personal breakthroughs, Professional highs and a lot of content smiles around. I think I have done justice to this year, personally and professionally. So I will start my favourite yes its my birthday month with a gratitude post. This post is not just for a regular client of mine but also for a super special friend who I have known for over 10 years but only in the last one year have become really thick. She is a fabulous woman, deeply inspiring and such a perfectionist that no wonder it starts rubbing on to you. Her energy is infectious and she sets the bar high. 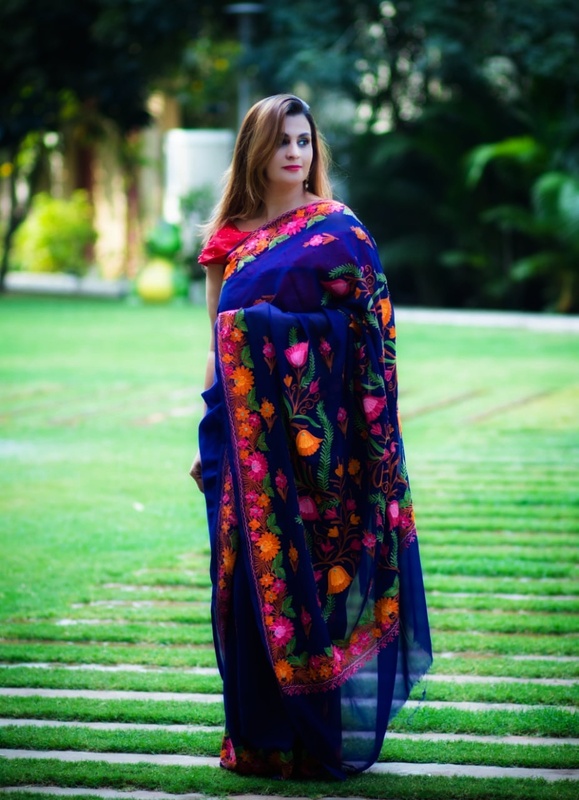 She left a promising corporate career to follow her entrepreneurial dream and that has the most heartfelt story as to why she choose to promote traditional kashmiri handicrafts over anything more trendy and modern. 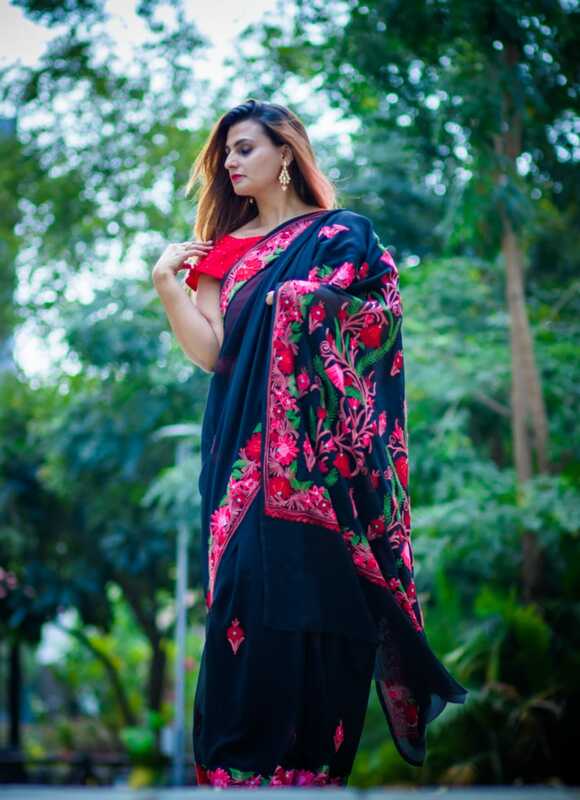 In her words – ‘My grandfather wanted to reach out globally so that the classic craft does not die and people are aware of the regal and royal looks these outfits can bring to your personality.’ Arj decided to take on after her grandfather and today she has successfully transformed that vision into a reality. 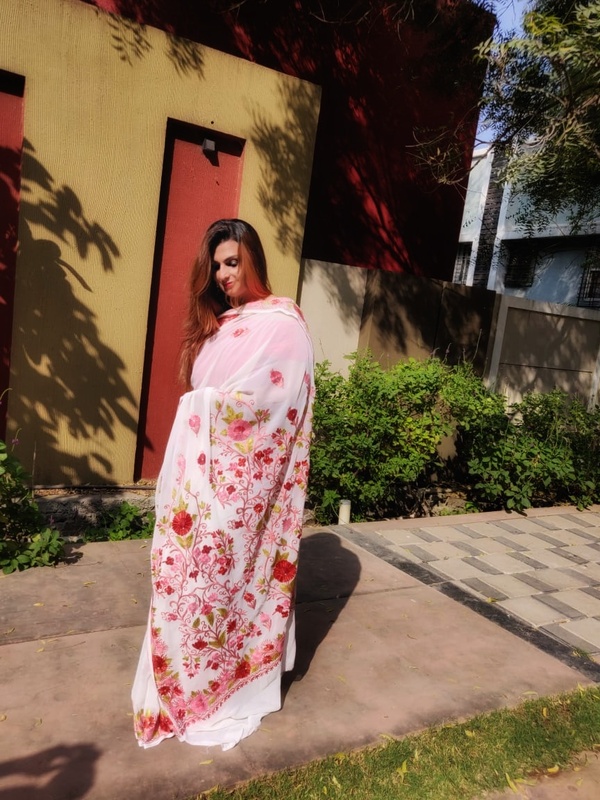 She has a lot of accolades to be congratulated for – the recent one being where her bespoke shawls were showcased at the London Fashion Week in association with Tasta. I am so proud to be associated with the brand. Her brand – Sheen The Luxury Label is one of the most popular and well known for the authenticity and the unique, class apart exquisite apparel it houses, around the globe. 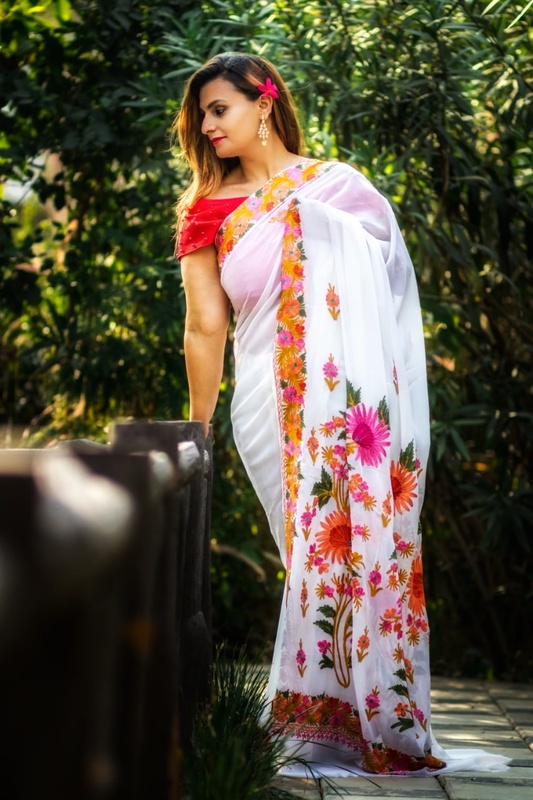 With a wide variety of chic stoles, lounge wear kaaftans, delicate embroidered shawls and gorgeous sarees, it is clearly impossible to stop at one. Each piece is just as breath taking as the other. Sharing some pics with you guys, hope you like them. Use my code PS10 to avail a flat 10% on your total billing.